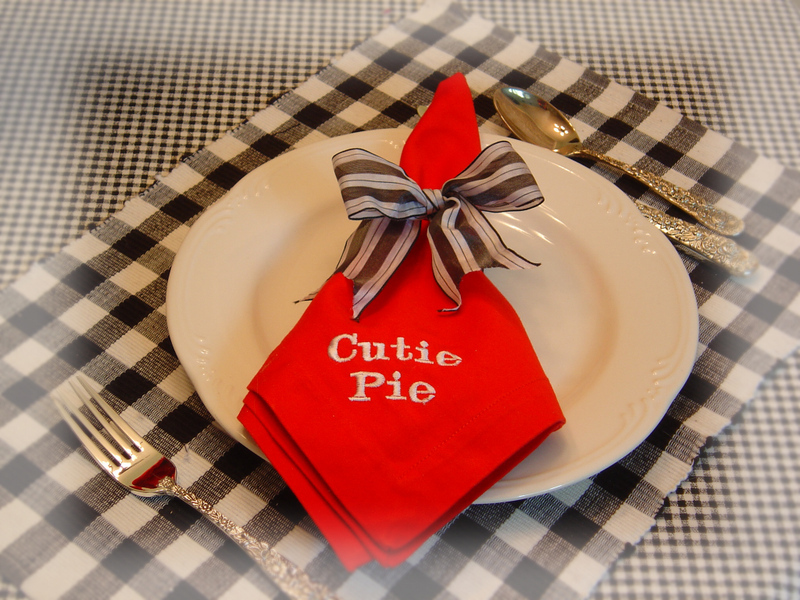 ...to spruce up the table for Valentine's day! Oh, I think these are sooooo darling! The sewing Queen of northern Nevada machine embroidered them and they are fabulous. 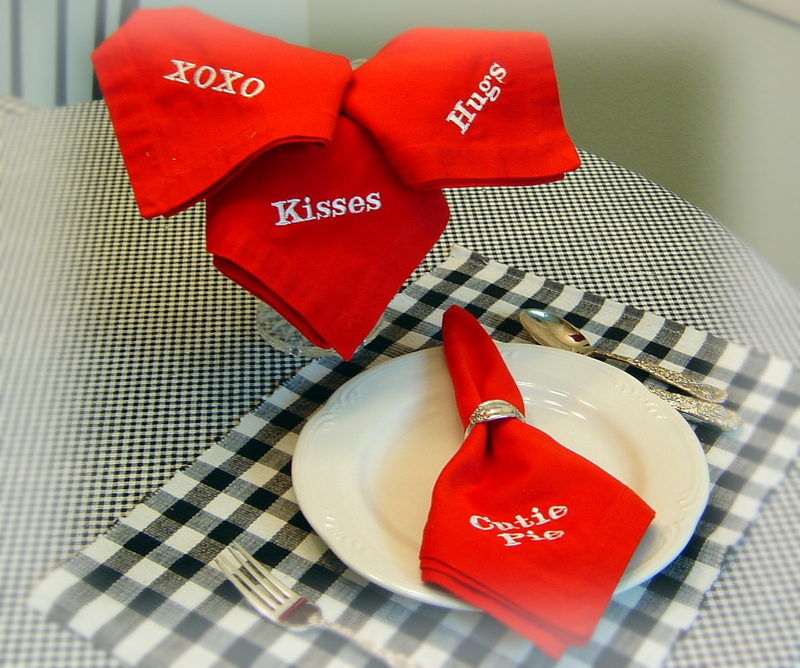 Sooo Valentine-y!I can think of so many cute table settings, all built around these cuties...a breakfast, a tea or a romantic dinner soire'. 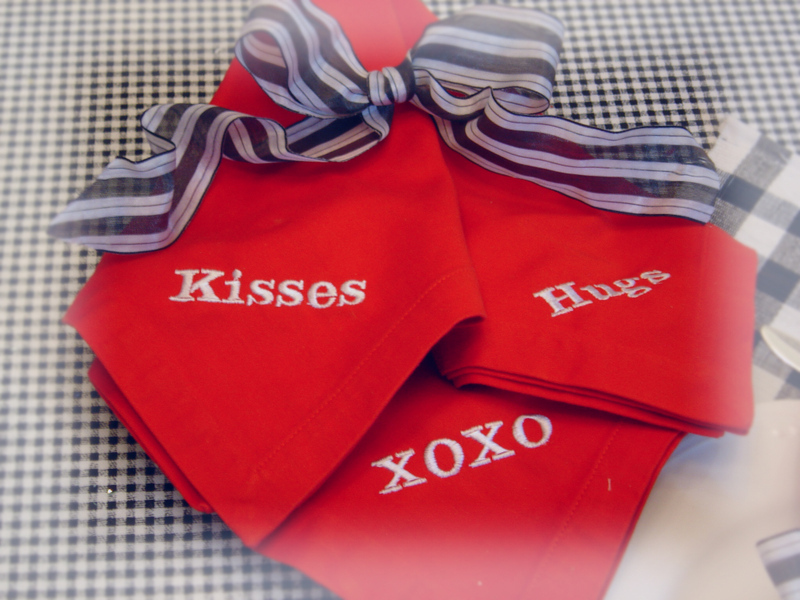 She made them at my request and we have 2 sets of four, each napkin embroidered with a different Valentine wording! They're available for $20 per set, plus $5 shipping and packaging. Just post a note in the comments, or send me an email and I'll be happy to send you a Paypal invoice, first ordered, first to get them! **edited to add** Thanks! They are sold. There is a chance (I will know by tonight!) that there will be more of these cuties next week, so if you're interested, let me know and I will add you to the list!